To survive in an often disapproving external social world, the LDS Church has made many adaptive changes in belief, practice, and organization over time. Gordon and Gary Shepherd identify and elucidate these changes through statistical analysis of the rhetoric from General Conference proceedings in their book. The first edition of A Kingdom Transformed, published in 1984, covered the years 1830 to 1979. 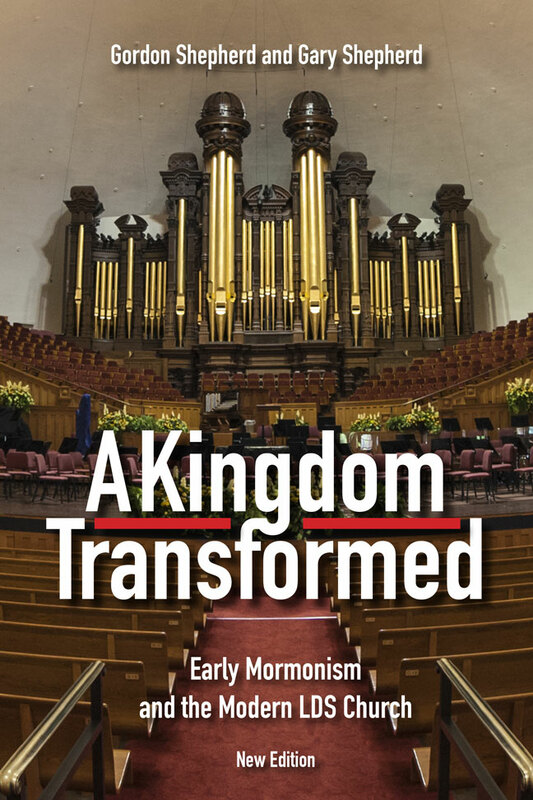 This new edition revises this earlier work and adds to it by examining the subsequent thirty years of LDS church rhetoric revealing what new trends have emerged and what old ones have continued. It retains the summary and analysis of data from the first 150 years of LDS Church history, but every chapter, including the narrative history of early Mormonism, has been thoroughly rewritten with updated theoretical and empirical support from contemporary research sources. The first edition showed how early twentieth century LDS leaders were fairly liberal in mainstreaming church doctrines and social teaching, but by mid-twentieth century, as the church became more stable, accepted, and successful, church authorities reversed several earlier modifications and began emphasizing a stricter, more conservative theology that coincided with an increasingly conservative political orientation. The new book adds current issues of concern, such as the role of women in the church and international growth versus member retention. It also introduces a new conceptual framework for interpreting findings. Gordon Shepherd is professor of sociology at the University of Central Arkansas. Gary Shepherd is professor emeritus of sociology at Oakland University in Michigan. The Shepherds (identical twins) have collaborated on a number of scholarly projects over many years, including six books, among them, with Lavina Fielding Andersen, Ordain Women and Resurgent Mormon Feminism: Voices for Equality in a Conservative Faith Tradition (in press).